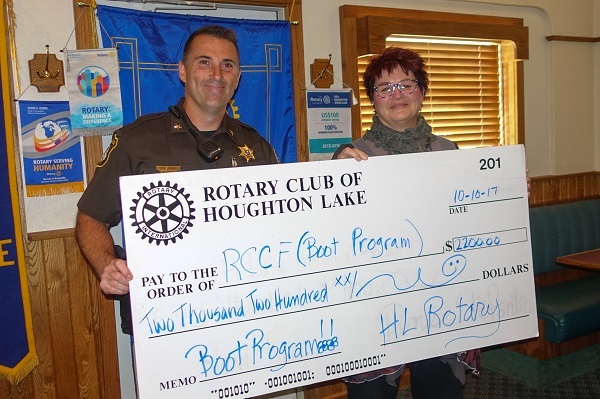 The Rotary Club of Houghton Lake held a golf outing October 3rd to raise funds for for the Roscommon County Sheriff Boot Booster program. Gordie LaFontaine donated Pine View Highlands for the outing which raised $2,200 for the Boot Boosters program. "This is such a great cause - helping to keep the children of Roscommon County safe!!" noted Rotary Club of Houghton Lake President Denise Stefanko. Security boots have already been installed in all the schools in Roscommon County at a cost of $187,000 of which $16,000 remains. Donations are still being encouraged. To donate to the Friends for Safe Schools Fund, donors can either visit the RCCF’s website at www.myrccf.org, send a donation check to the RCCF at P.O. 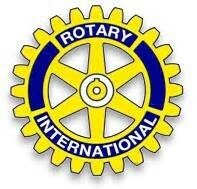 Box 824, Roscommon, MI 48653, or contact any Houghton Lake Rotarian. For information on the Boot project, call Sheriff Stern or call the RCCF at 275- 3112.